This section of the site looks at the many different types of boats that are available on the marketplace. For this purpose it has been divided into four different groups. 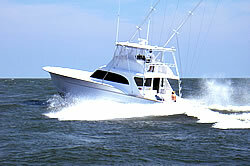 These are Sailing Boats, Motor Boats, Speed and Sports Boats and Personal Watercraft. Descriptions of the boat have been included, along with a range of manufacturers or agents where you can find out further information, pictures and a guide as to how much they would cost. The Sailing Boat section consists of Yachts, Dinghies and Multihulls. The Yachts and Multihulls come in a variety of sizes to suit every budget, from an affordable small boat right up to a luxury performance boat. The Motor Boat section consists of Motor Cruisers, Dayboats, Ribs and Inflatables and Fishing Boats. There is a large range of Motor Cruisers on the market to suit everyones budget right upto the high performance boats of Fairline and Sealine. In this section consists of Sports cruisers and Speedboats. The Sports Cruiser is a motor cruiser which has been built with the sports enthusiast in mind. This is the high octane end of the market. 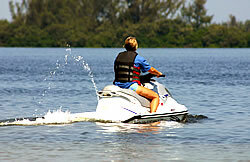 This section deals mainly with Personal Watercraft commonly known as the Jetski. Yachts featured in this section include the Wayfarers by Porter Brothers, Rustler, Bowman and Starlight Yachts by Rustler Yachts and the increasingly popular range of yachts from Delphia Yachts. The Sadler Group Ltd consists of Sadler Yachts Ltd, Rampart Yachts Ltd and Ocean Quay Ribs. They are based at the Ocean Quay Marina which is a superb location on Southampton Water. Following the huge success of the Sadler 290 they are now developing her bigger sister, the brand new Stephen Jones designed Sadler 340. MiniCat Catamarans which are designed to be a Ultra Lightweight Catamaran are now a new addition to our website. The Exciting Range of Astus Trimarans are made in Brittany (France) by Astusboats and distributed in UK and Ireland by Ex Aqua. JCraft Rigid Inflatable Boats (Ribs) based on the south coast in Portsmouth are also featured in this section.